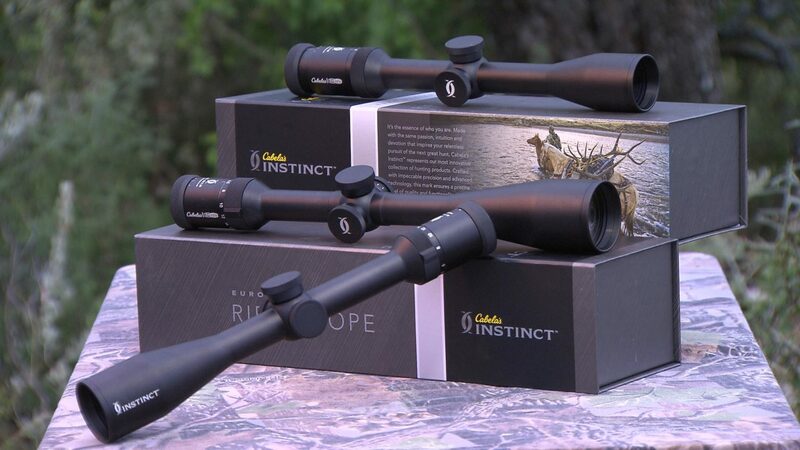 Our relentless pursuit of superior optics led us to Europe, where we partnered with Meopta®, whose level of expertise is trusted by NASA, the U.S. Army and hunters all over the world. 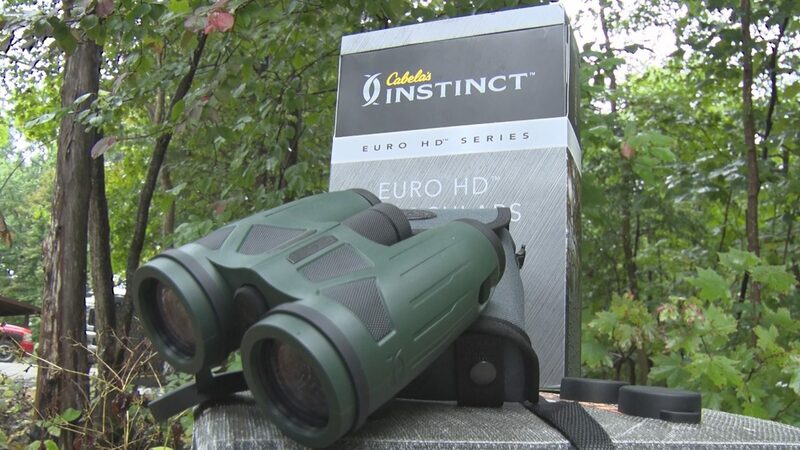 The result is Cabela’s Instinct Euro HD Binoculars that deliver performance matching or surpassing the best names in optics. MeoBright™ 5501 fully multicoated optical system and phase-corrected prisms deliver amazing 99.9% light transmission per lens surface and nearly nonexistent color distortion, allowing you to glass animals in the dimmest of light conditions. 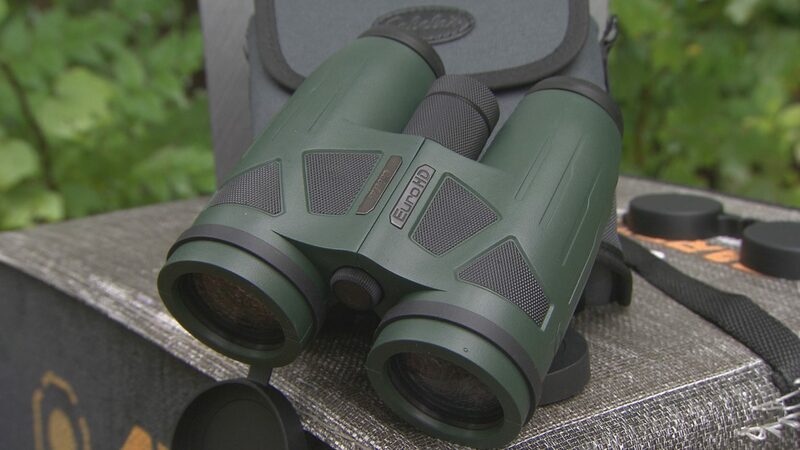 Housed in a sleek, ergonomically designed aluminum-alloy body that reduces carry weight and has a rugged layer of textured rubber armor, you can have confidence they’ll stand up to the roughest hunt. Nitrogen purged, sealed and guaranteed to provide a lifetime of fogproof, waterproof performance – because you aren’t heading for the truck when the weather turns nasty. 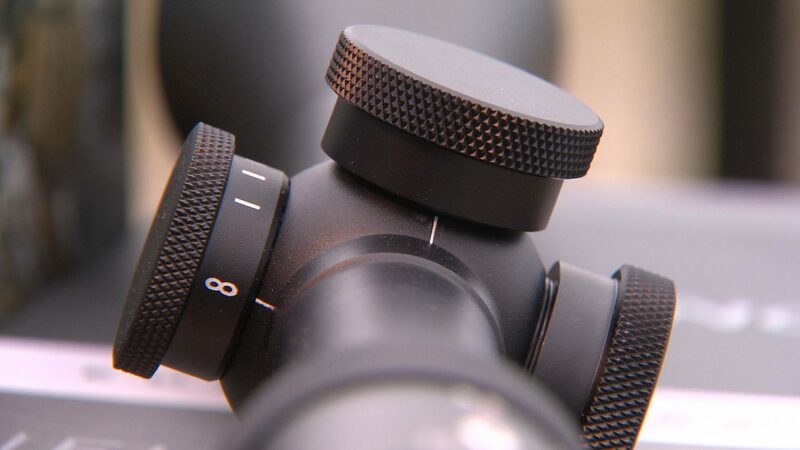 Twist-up eyecups allow easy use for spectacled hunters. Oversized center focus wheel with an integrated, adjustable diopter facilitates easy focusing. Includes lens covers, a padded aircell neck strap and a padded case with a shoulder strap. 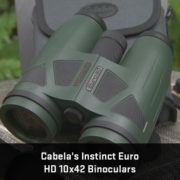 For more information visit: http://www.cabelas.com/product/cabela-s-instinct-8482-euro-hd-10×42-binoculars/1224087.uts? 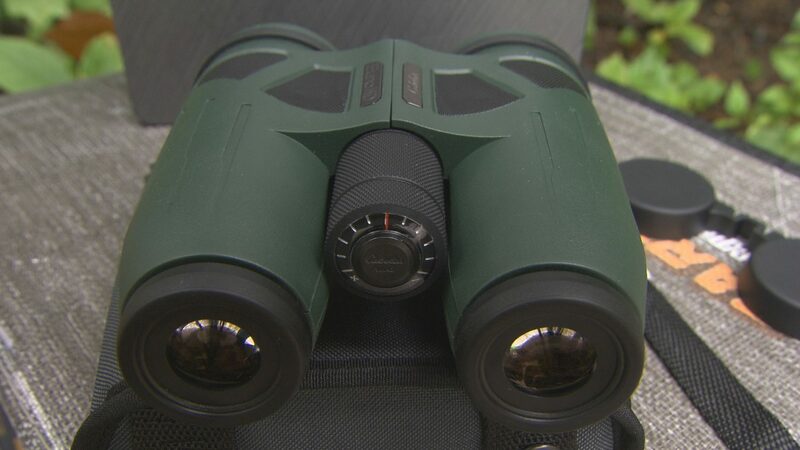 When you’ve done your preseason scouting, trained relentlessly to beat the mountain and set aside the time to chase elusive animals on their turf, you need a scope that delivers a crisp image during the low-light golden hours when game is most active. 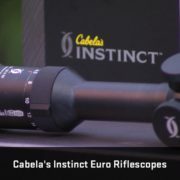 Cabela’s Instinct Euro Riflescopes are fully multicoated with MeoBright™-5501 ion-assisted lens coatings, resulting in industry-leading 99.8% light transmission per lens surface that’s incredibly brilliant compared to other scopes, especially in low-light conditions. Premium lenses meticulously manufactured to exacting tolerances deliver best-in-class performance. Glass coating exceeds military specifications for severe abrasion resistance because the backcountry can be rough on optics. The precision-tuned ocular lens system is optimized for a wide field of view with 3.75″ eye relief. 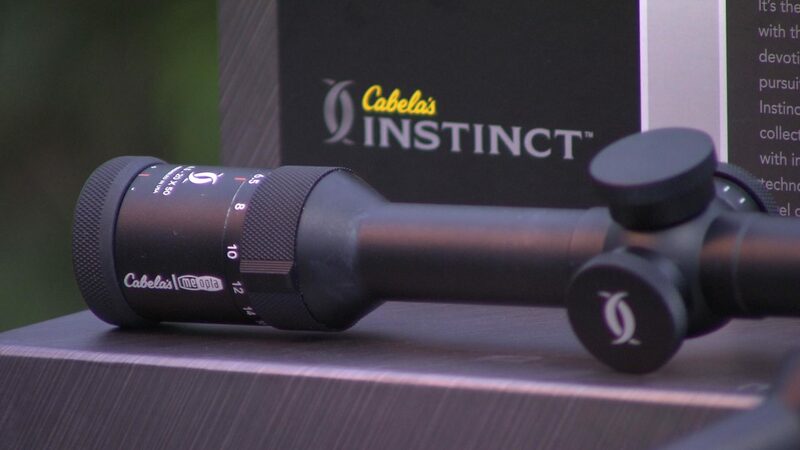 An all-new erector system delivers smooth, precise magnification adjustments with no change in point of impact. 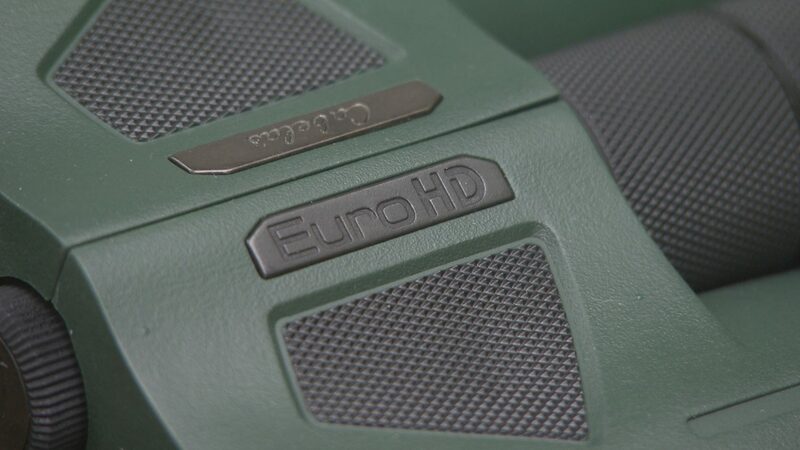 A fast-focus eyepiece offers quick, easy adjustment. 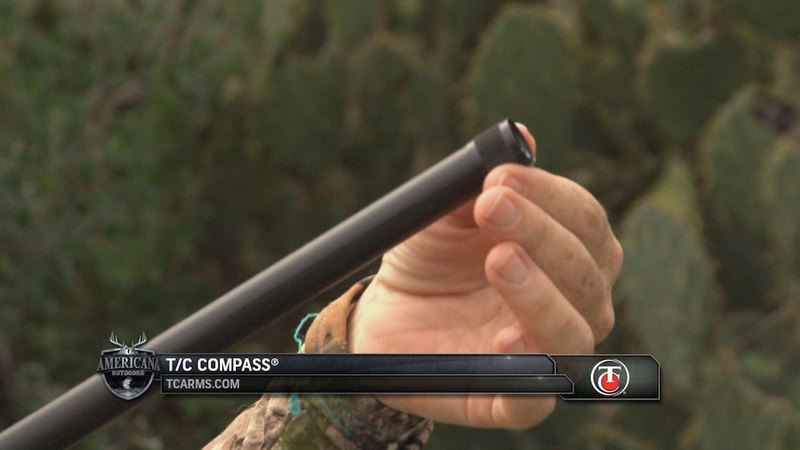 ETX etched-glass reticle is rugged enough to withstand the recoil of heavy magnum firearms. 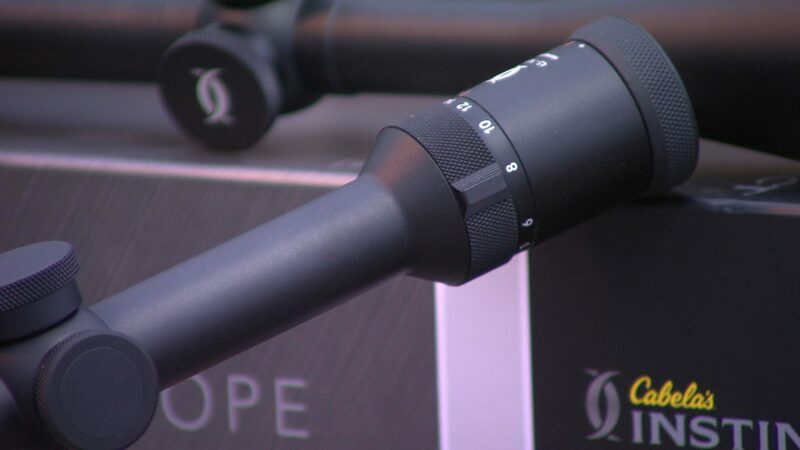 The one-piece 1″ tube is CNC-machined from a single solid billet of aircraft-grade aluminum and ELOX-anodized for extreme durability and scratch resistance. Nitrogen-purged and fully sealed for lasting waterproof, fogproof and shockproof reliability. 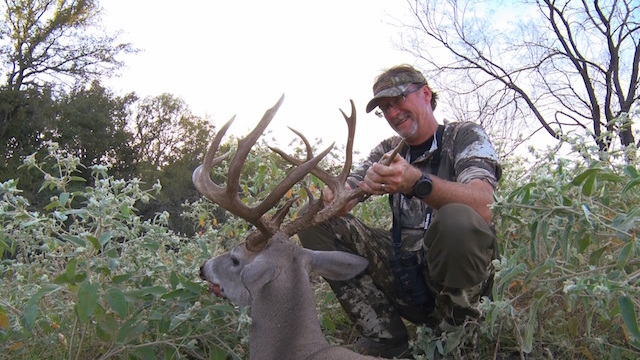 Your back country hunts push your physical limits, taking you over grueling terrain and through unpredictable weather. 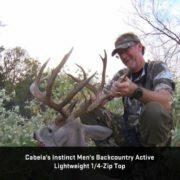 Cabela’s Instinct Men’s Backcountry Active Lightweight 1/4-Zip Top allows you to enjoy full freedom of movement and total thermal regulation as you pursue elusive high-elevation big game. 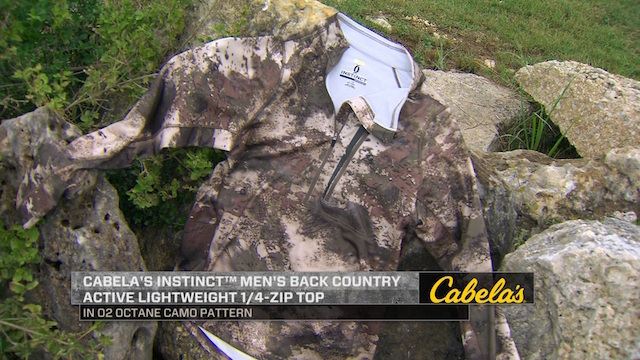 When your hunt heats up, shed outer layers and wear as a lightweight jacket. If the snow is flying and wind is howling, wear as a lightweight layer between your base and outer layers. Polyester/spandex Polartec® Power Stretch® facilitates a full range of motion so you can hike, crawl and climb with ease. Zippered chest pocket ensures essential gear remains safe, secure and protected. Underarms and back yoke incorporate a thinner unbrushed Polartec Power Stretch fabric for enhanced breathability when carrying a pack. Angled center-front 1/4-zip closure prevents zippers from stacking on top of one another when layering. Imported. Filling feeders has never been easier. 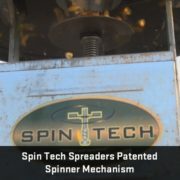 Spin Tech features a patented Spinner Mechanism that not only rotates BUT elevates up and down! 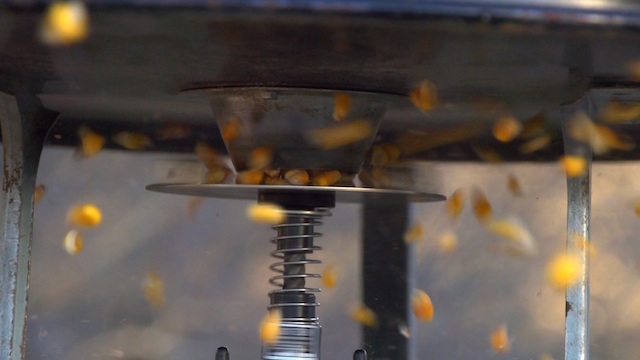 When the motor is shut off, the spinner plate automatically is pushed up tight resulting in it being sealed against the hopper, preventing any leakage of feed. 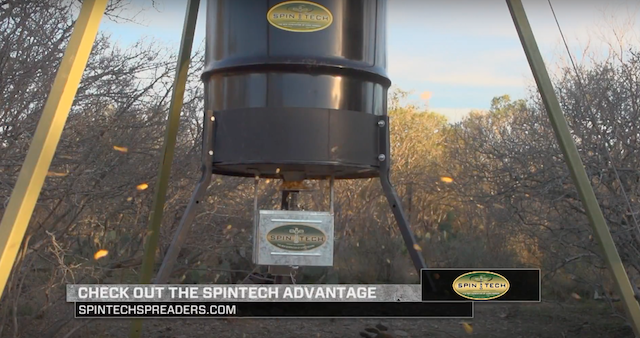 The SPINTECH technology is windproof and also prevents varmints like raccoons & squirrels from opening the plate and eating feed. 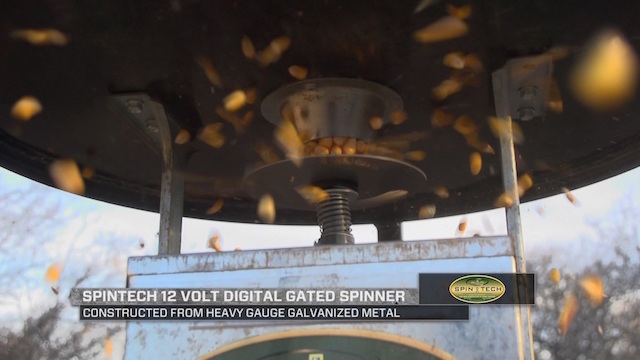 One thing we’ve noticed in the field is how strong the motor is, how far the feed is thrown as well as the fact we’ve got little to no waste thanks to the spinner plate going up and down and when not in use it’s secured against the funnel. When motor is shut off, the spinner plate automatically is pushed up tight AND sealed against the hopper. 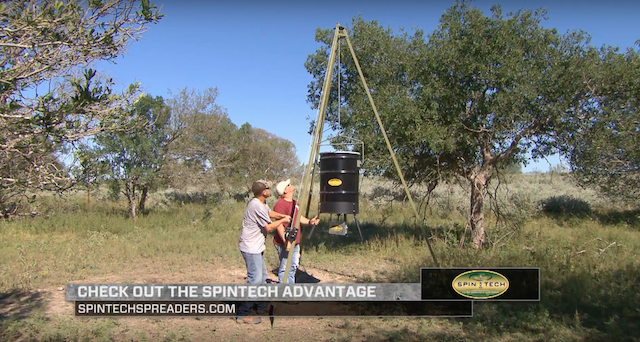 The SPINTECH technology is windproof and also prevents varmints like racoons & squirrels from opening the plaste and eating feed. Some of the great features. Threaded muzzle for use with compatible compensators, muzzle brakes, and suppressors. 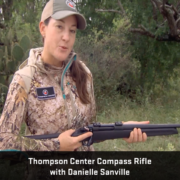 Introducing the T/C® COMPASS® – A great choice of rifles that can match any budget. Building on a heritage of accurate, affordable firearms – from a trusted American brand. Designed to deliver today’s sport shooters and hunters with a feature-rich bolt-action rifle at an affordable price point, the T/C Compass elegantly blends American-made craftsmanship and value into a professional-grade rifle. 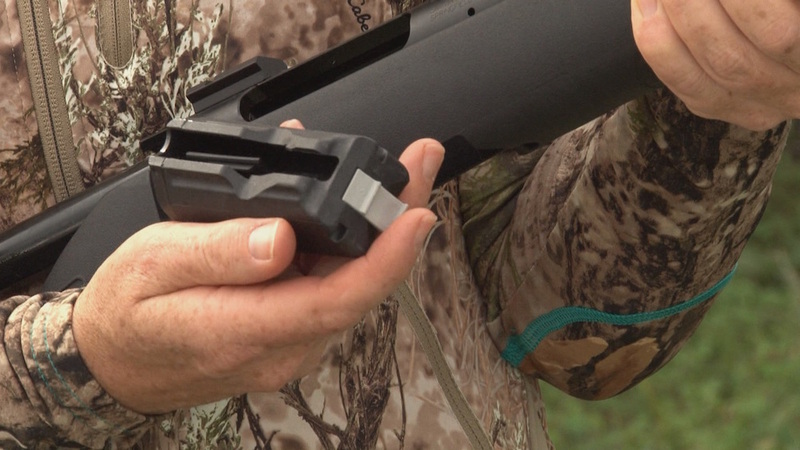 The detachable, compact rotary magazine fits flush with the stock for easy carrying and no snags. Threaded muzzle for use with compatible compensators, muzzle brakes, and suppressors. 1/2-28 UNEF for 204, 223 & 22-250 | 5/8-24 UNEF for 243 and larger. Simple, rugged design lends itself to years of reliable service and top-notch accuracy and reliability. Provides visible and tactile feedback as to position of the safety. Provides locked, load/unload and fire positions. The 60 degree bolt lift provided by the 3-lug bolt design gives the shooter maximum clearance between the bolt handle and a mounted scope – for fast cycling. The detachable, compact rotary magazine fits flush with the stock for easy carrying and no snags. The low-maintenance polymer magazine provides smooth feeding in a rust-proof, durable package. 5-round capacity in standard calibers and 4-rounds in magnum calibers.